Canon EOS 1D Mark IV Arrives! We were out for a brisk morning walk out the park entrance to Hwy 260 and were on our way back when the UPS truck rolled into the park around 9:30 am. We stopped at the main gate and sure enough, my package was there. I shlepped the box all the way back to our motorhome for the unpacking! An 8 km walk, now time to play! First step, charge battery, second step, review instruction manual (yes, some men actually do read the instructions). Third step, try it out of course. Chris went to have her hair done while I checked out all the new features on my 1DmkIV. Way more focusing points than on my 5Dmk2 and a blazing 10 frames per second, which should be awesome for wildlife photography. I tried out the camera on some small birds around the park, but wasn’t real happy with the results. Many of the birds were simply too far away for my 70-200mm lens. I’ll break out the 500mm in the coming days and see if that works any better. 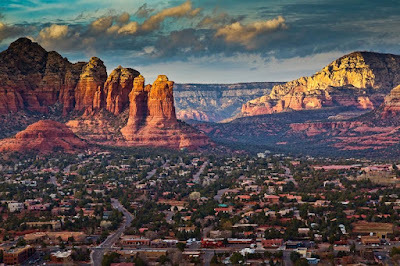 Once Chris was back and all spiffed up, we went for another scenic drive around the Sedona area. 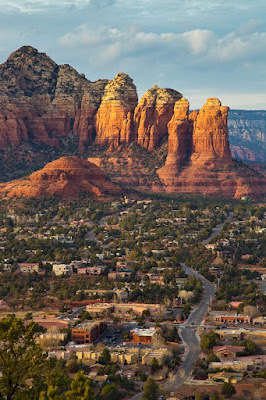 Seems like every road one takes around here results in more stunning landscapes and red rock mountains. We like the quieter side roads and found quite a few vantage points for some more great photos. 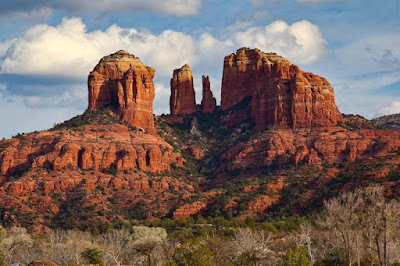 I tried my new camera with my 24-105mm zoom lens and a circular polarizing filter at several spots around Lower Red Rock Loop Rd and then again at the viewing vista near Sedona airport. The results speak for themselves. We picked up Megan at her hotel and all went out for a very nice Thai food supper at a local restaurant. We are spending tomorrow at Out of Africa, a safari park just back down Hwy 260 near I-17. Hoping for some more great photos there.